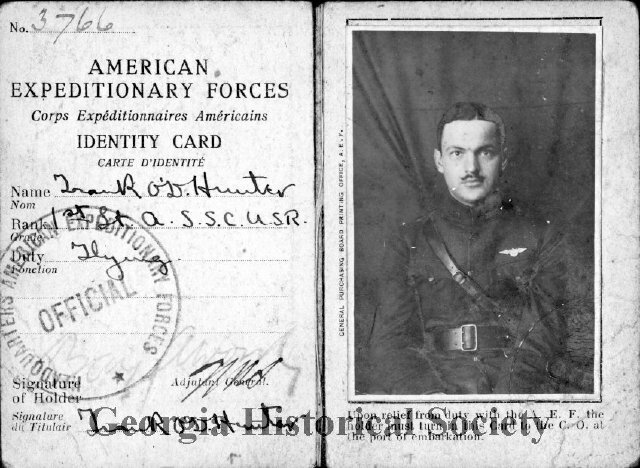 American Expeditionary Forces, Identity Card, Frank O’D. Hunter, 1st. St. A.S.S.C.U.SR., duty Flying. No. 3766. From the Frank O’Driscoll Hunter Papers, MS 1342.